With more and more travelers craving authentic experiences when they travel, this is the year to discover a true Irish castle. But not just any castle. 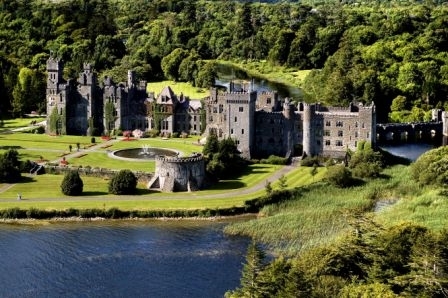 Only one steeped in history, such as 800-year-old Ashford Castle in Ireland's County Mayo, will do. To make it easy, Ashford Castle has announced an Ashford 800 Celebration that includes three nights for the price of two, breakfast each morning and plenty of time to soak in the storied history. Few castles have the pedigree of Ashford Castle. From the laying of the first stone in the 13th century by the de Burgo family to the influence of the prominent Guinness family centuries later, there has been a seamless joining of ancient history with the luxury of a modern hotel. Guests who book two nights in a Deluxe Room for �800 (approximately US$1,113), share this history and enjoy a complimentary third night. Breakfast for two each morning is also included, not to mention unlimited warm Irish welcomes, luxurious surroundings and views of the estate's lake and river that are worth the trip alone. Guests can opt for the package with a larger room or suite for �1,045 and �1,095 respectively (approximately US$1,454 and US$1,524). The Ashford 800 Celebration is subject to availability from April 1 through September 30, 2010. To know more about Ashford Castle and to make reservations, visit www.ashford.ie. Ashford Castle is set on 350 acres of County Mayo, on the shores of Lough Corrib and the River Cong, with a spectacular backdrop of woodlands, lake, river, and mountains. It features 83 guestrooms and is renowned for a range of country sports including an equestrian center, fly fishing, an exclusive nine-hole golf course, Ireland's first school of falconry and sporting clay shooting. For those interested in high-end fashion, a cruise knows no real �season.� Exploring different clothing looks to mesh with exotic ports of call and world-class cruise ships is just another exciting part of the anticipation and preparation for your escape from reality on a cruise. �The notion of 'fashion-forward' wardrobe options loosely transitioned to acceptable everyday items is what the phrase 'ready to wear' is all about. In fashion, �resort season� means making these 'ready- to-wear' items chic, seasonal, and weather specific. An opportunity to feel great with how you look should never be under estimated, certainly not on your cruise. No occasion is too small for you to feel special,� says New York�s Valentino Showroom Manager Tim Pare. M Missoni, Prada, Roberto Cavalli, and Chanel resort collections are all popular classic labels for leisure fashion. In addition to their long shelf life, today�s cruise clothing lines are more successful than ever because, unlike traditional cutting-edge fashion, they are more simple and translatable. The newest and previously unheard-of aspect of the haute couture fashions? Wearability � pieces that can be incorporated into a daily wardrobe, not just used for a limited cruise experience. This wearability philosophy extends to off-the-rack pieces as well. Retailers like Saks Fifth Avenue, Bergdorf Goodman, Nordstrom�s and Neiman Marcus offer a plethora of cruise wear options. Also, each store offers the option of working with a personal shopper. A useful option is the Niemen Marcus website, a "virtual studio" in which customers can inquire about items that are not available online. Consumers can email their personal shopper, who posts a digital photo of the product to an online site where the customer has two weeks to view the image. If they decide to make the purchase, the personal shopper is available to answer questions and assist � very handy for those busy consumers who cannot make it into the store. What is your cruise itinerary? Wardrobes will vary as much as the route of your cruise. Alaska choices will differ from a Caribbean cruise. What cruise line will you be vacationing on? Ultra-luxury lines like Oceania or Regent Seven Seas may have different wardrobe requirements than a family-friendly line like Disney. What type of excursions do you have planned? A cruise on Lindblad Expeditions, an eco-friendly line that partners with National Geographic, is all about exploration, and recommends the traveler�s wardrobe be centered around comfort and practicality. If you�re cruising on Crystal and plan to visit the Russian opera and ballet, be ready to break out the evening gowns and tuxes. Still unsure about what to wear? Consider creating a checklist that details your plans and matches your wardrobe to it. Need help getting started? CruiseCompete recommends visiting AllThingsCruise for some handy checklists, videos and tips on packing. Photo is from Chanel Cruise 2009-2010. See more of the collection here. About CruiseCompete � CruiseCompete.com was named by The Wall Street Journal as The Best in Travel and has been a repeat on Kiplinger's Personal Finance magazine's Best List for Cruises in its travel category. Since 2003, over 1,500 cruise experts have provided close to 6 million quotes to more than 1.5 million quote requests. For more information, visit http://www.CruiseCompete.com or http://www.CruiseCompeteGroups.com. CruiseCompete � Find us on Facebook and Follow us on Twitter! Affiliated Companies � ResortCompete.com saves consumers time and money with best deals on all-inclusive resort vacations. Consumers secure quotes from multiple travel agencies, resort operators and vacation wholesalers without contacting each one separately. For more information, visit www.ResortCompete.com< /a> ResortCompete � Find us on Facebook! AllThingsCruise.com is a portal for cruise enthusiasts, dedicated to the joy of cruise travel and planning the best cruise vacations ever. Its wealth of information includes valuable cruise travel tools � from cruise reviews and feedback, to helpful videos and information for choosing the right ship, to preparing for and enjoying a memorable cruise vacation. A valuable unique feature of AllThingsCruise is a complimentary e-card with vital cruise line and cruise ship contact information travelers can send to family members and others prior to departure. AllThingsCruise- Find us on Facebook! Do you know what event will constitute the largest spectator sporting event in the United States in 2010? If you are an equestrian, a fan of horse sports, or just a horse lover, you probably already know the answer: From September 25 through October 10, 2010, the horse world will converge at the Kentucky Horse Park, Lexington, Kentucky for the World Equestrian Games. Sometimes referred to as the �equestrian Olympics�, the WEG premiered in 1990 as an international �alternate Olympics year� championships, evolving to include eight equestrian disciplines: Dressage, Driving, Endurance, Eventing, Para-Dressage, Reining, Show Jumping, and Vaulting. 2010 marks not only the first time the WEG have been held outside Europe, but the first time all eight disciplines have been held at the same venue. The Kentucky Horse Park has been extensively enlarged and upgraded to meet the demands of nearly 1,000 horses and 300,000 to 500,000 spectators. In addition to the actual competitions, there will be an international vendor fair of all things equine, nightly horse act extravaganzas, and a gigantic Kentucky tourism pavilion. 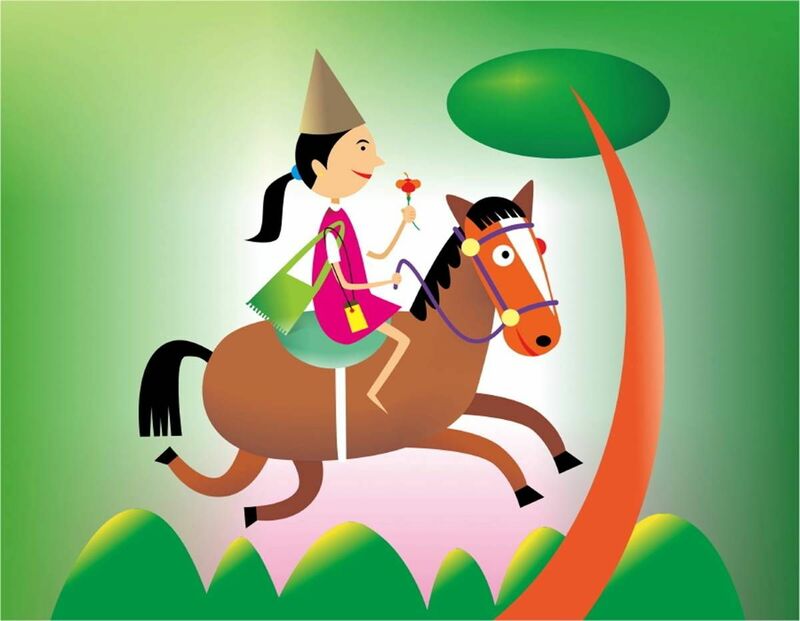 Which begs the question, what to do in central Kentucky if you are not a horse lover, but you want to be a �good sport� and tag along with your spouse, partner and/or kids who are? Well, my friends, be advised that Kentucky, besides being the home of incredibly picturesque rolling fields of Bluegrass, which support numerous wonderful golf courses and resorts just as well as they do horses, is also home to loads of fascinating historic sites, and many marvelous distilleries of Bourbon whiskey �open for tours and tastings! If it seems beyond your budget, thousands of volunteers are needed, and they are still recruiting! This is a way to gain admission to some of the competitions. Again, full information can be found on the website. Contemporary art, architecture, fashion and design are at the forefront of Germany�s tourism campaign this year as we introduce our "Creative Germany" campaign. The campaign is oriented toward a younger, 15-34 age group, and highlights the country�s incredible developments and contributions to contemporary culture. Germany is already number two for Europeans in terms of cultural travel and now young Americans are flocking to cultural centers such as Berlin, Hamburg, Cologne and Munich. The creative economy is certainly a boon for Germany financially. Already over one million people work in the various sectors, including music, publishing art, film, radio art and design, architecture, journalism, advertising and software, contributing 3.3 percent or 61 billion Euros to the country�s total economic output. Capitals of Germany�s creative campaign are Berlin, Duesseldorf, Frankfurt, Hamburg, Munich, Leipzig and Stuttgart where art, architecture, advertising, fashion, design and engineering are important foci of the individual cities. In Berlin, there are hundreds of creative events among them the famous Berlinale Film festival with many international film stars, the DMY Design Festival and hundreds of galleries and museums. 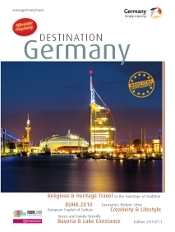 Duesseldorf is Germany�s center for advertising and also fashion fairs; the fine arts festival, the Quadriennale, as well as the Insel Hombroich and the Kunst im Tunnel, bespeak of the city�s dedication to contemporary art and installations. Frankfurt is home to the international music festival as well as an ambitioned and creative new city building project and club scene. The soon completion of Hamburg�s newest futuristic landmarks, the Elb Philharmonic and the docklands with the "Hafen City," are captivating architecture and art lovers worldwide. So does Munich, one of Germany�s architectural hot spots and location of creative buildings such as the Allianz Arena, BMW World and the Ohel Jacob Synagogue. Leipzig offers a variety of leading museums and galleries including the Gallery of Modern Art and the Museum of Fine Art and is devoted to hosting diverse events under the motto of fashion and design. Entering a new era of creativity is also displayed by the city of Stuttgart. Creative minds are not only attracted by the popular fashion sites Gerberviertel, Design Centre and Koenigsbau Passage, but also by extraordinary architecture of the Mercedes Benz Museum, Porsche Museum and Bosch Areal. The fact that Germany is already the second favorite destination for Europeans reveals the potential for culture travel. Under the umbrella of "Creative Germany" some of Germany�s most attractive cities have geared up themselves for a young and fashionable target group and have established a multi-faceted program. Branson Airport (BKG) and Frontier Airlines are pleased to announce non-stop service to Denver, Colorado beginning April 20, 2010. Frontier Airlines operates a fleet of 51 aircraft and are known for their exemplary customer service, which falls in line with Branson�s famous Ozarks hospitality. For more in-depth information on Frontier Airlines and to book tickets, please visit its Web site at FrontierAirlines.com. VIETRI SUL MARE, AMALFI COAST � Designed to serve as a luxurious home-away-from-home vacation destination, the newly-opened Relais Paradiso Hotel offers guests a unique hotel concept in the spectacular Mediterranean town of Vietri sul Mare. In keeping with Ragosta Hotels Collection mantra, guests of the luxury property are invited to �define their lifestyle� with the hotel�s chic offerings such as its chic rooftop pool, exclusive executive lounge and its 24-hour honesty bar, featuring cocktails, coffee, wine, beer and champagne. The 2010 daily rates for of the 22-guestroom property start at �400 per night, based on double occupancy, through October 31, 2010. Opening in August 2009, Relais Paradiso Hotel features 22 spacious guestrooms and suites with panoramic terraces overlooking the pristine Bay of Salerno and the lush landscape of the fragrant and colorful Amalfi Coast. Additional in-room amenities include plasma-screen televisions, a courtesy collection by ExPure Spa, complimentary Wi-Fi connectivity, fresh local flowers and much more. During their stay, guests will enjoy truly personalized service from a welcome Champagne cocktail to personal car transfers to the nearby town of Vietri sul Mare. For information and reservations contact Ragosta Hotels at www.ragostahotels.com +39 089 763 4111 or Summit Hotels & Resorts at www.summithotels.com. Rates are subject to availability. *Conversion rate to American Dollars as of December 16, 2009 is subject to changes. 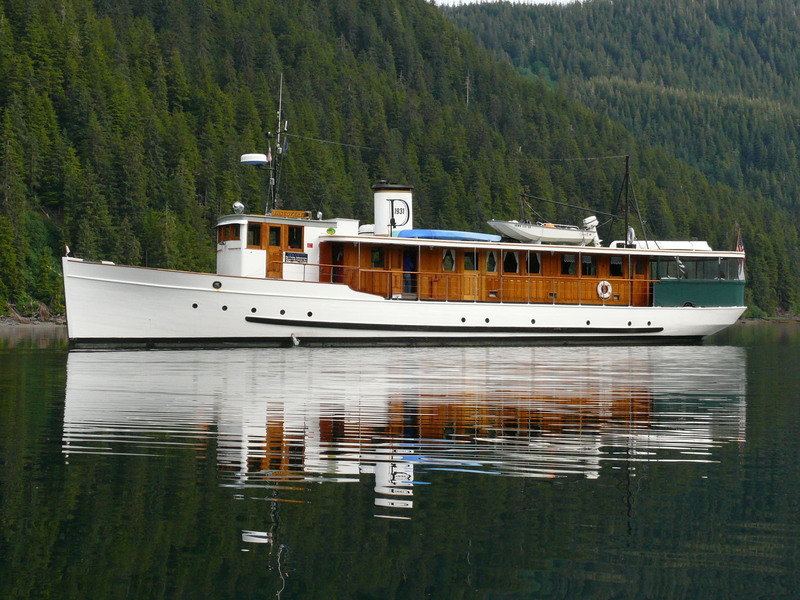 Experience the wilds of Alaska�whales, fjords, bears, eagles, glaciers, etc�up close and personal in a lovingly restored and iconic private yacht from yesteryear � www.alaskacharters.com. This is no mega cruise ship experience with distant views of whales on the horizon and cafeteria style buffets. Rather, it is a small private yacht where you get within feet of a whale as it swims in the icy waters, and where your chef prepares succulent dishes with the seafood caught each day by the guests, if they choose� right off the boat. As an example, guests don�t have to worry about overcrowded onboard hot tubs. Instead clients disembark to swim in their own private hot springs on shore. With only six cabins, the crew of 5 provides outstanding and very personal service. Alaska Charters has been in operation since 1981. Captain Ben, and his father Captain John, have plied the waters of Alaska since the 1970s. The intimate setting allows Captain Ben, or his father Captain John, to do fun things like have contests to guess the number of shrimp in a given shrimp pot with the winner receiving a bottle of the Discovery�s private label wine as the prize. Or, if being on the yacht gets a little monotonous, you can get into one of the onboard sea kayaks to paddle yourself for a while. Your ports of call will not be the overcrowded tourist traps of the cruise lines. Rather, you�ll anchor at small little �settlements� where you can hike along the shore and back into the woods. Guests can book a single cabin where they�ll join other travelers on the Discovery from around the world. The Discovery can also be chartered for things like corporate retreats or family reunions. Weekly trips start at $3,995/person. The season runs May 10th � Sept 15th. 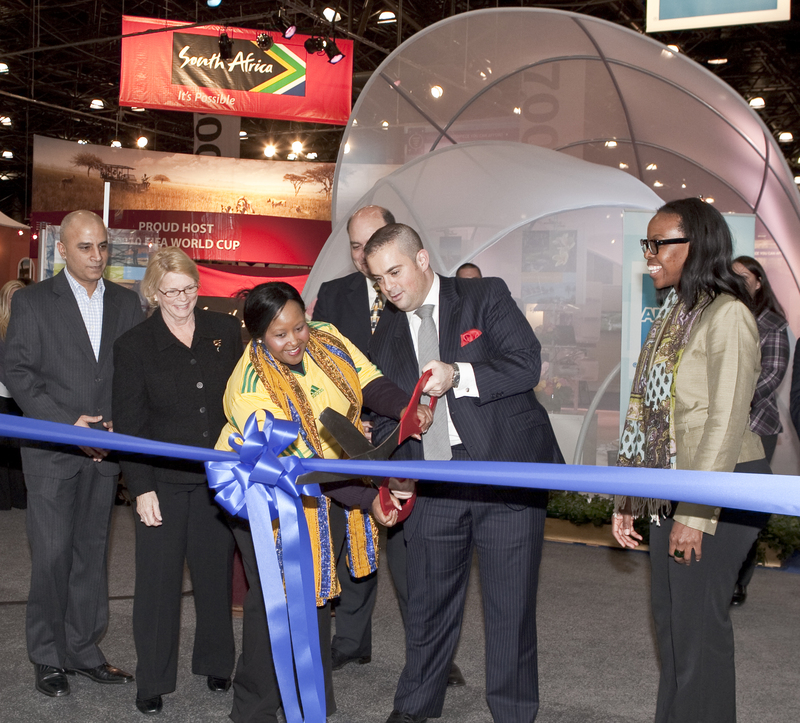 South Africa�s Deputy Minister of Tourism, Ms. Thokozile Xasa and Seth Rogin, Vice President, Advertising & Sales for the New York Times jointly cut the ribbon at the official opening ceremony for the New York Times Travel Show. This prestigious show, took place February 26 � 28, 2010, and is the country�s largest consumer and trade travel exhibition, featuring over 500 destinations from across the globe.